He tells you he is aware he is aware he has cancer and believes it to be true. He says that he does not wish to go through the chemotherapy as it will give him many side effects and seriously undermine the quality of what remains of his life. Q. Is your patient capable to make decisions regarding his treatment? How common is incapacity for treatment? What is the relevant legislation in Ontario regarding assessing capacity for treatment? What is the legal definition of the capacity to consent to treatment? Who assesses capacity to consent to treatment? 1) What information must be provided to the patient when assessing capacity? What do you believe is wrong with your health now? Do you believe that you need some kind of treatment for it? What is the treatment likely to do for you? What do you believe will happen if you are not treated? Why do you think I have recommended this treatment? 86 year old woman from a nursing home with a diagnosis of dementia is admitted to hospital with a hip fracture. Q. How would you assess her capacity to consent to hip surgery? Q. Is this patient capable to make a decision about her hip surgery? Q. 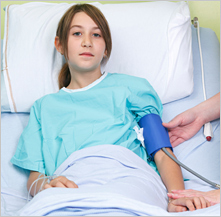 How would you assess her capacity to make decisions regarding treatment of her presumed leukemia? Q. Does she appear to “understand” the information you have provided her with? Q. Do you think she is capable to consent to treatment for her leukemia? Written by Dr. Douglas Green, Psychiatrist, Ottawa Hospital, General Campus, and members of the eMentalHealth.ca team.